Can I play an iTunes m4v file on Panasonic Viera TV? Can I see iTunes movies on my Panasonic/TH37PX60U tv? Possible to stream purchased/rented movies from Mac Pro to a plasma TV? I want to play videos I purchased from the iTunes store on my Panasonic smart TV> I don't seem to be able to do this from my iPad. Is there an app or something that will let me do this easily? All above issues are found on the Apple Communities center. Many users might come across the similar problems. And from the answers below we can see, neat solutions are not easily found to these issues. Don't worry, the following guide can help you solve all the problems. Panasonic launched its new 2017 OLED smart TV this July. And you can buy Panasonic televisions, OLED, LED, LCD, 4K & Smart TVs online. All Panasonic's TVs are easily customizable and provides a quick and intuitive means of finding content from multiple sources such as broadcast channels, Web pages, apps and external devices. It would be so cool if we could play iTunes movies on the Panasonic TV. As we all know, iTunes movies are M4V formats with DRM protection. But Panasonic TV can only play H264/MPEG4 codec MP4 format well. If you want to watch iTunes videos on the tv, you should convert DRM protected iTunes videos to unprotected MP4 firstly. M4V Converter Plus for Win is such a professional iTunes DRM removal tool for you. It can remove DRM protection of iTunes videos and convert them to lossless MP4 formats at amazing fast conversion speed. Besides, it can convert DRM-ed M4V to lossless MOV, M4V, Customized AVI, WMV, FLV, MP3, AAC, WMA, etc. You can also get the specific segments by using the Crop function. The following tutorial will demonstrate how to convert and stream iTunes movies to Panasonic using M4V Converter Plus for Win. 1. Launch M4V Converter Plus on your PC. Download the program on your computer, install and launch it. At the same time, iTunes will open automatically. 2. Import iTunes videos to the program. 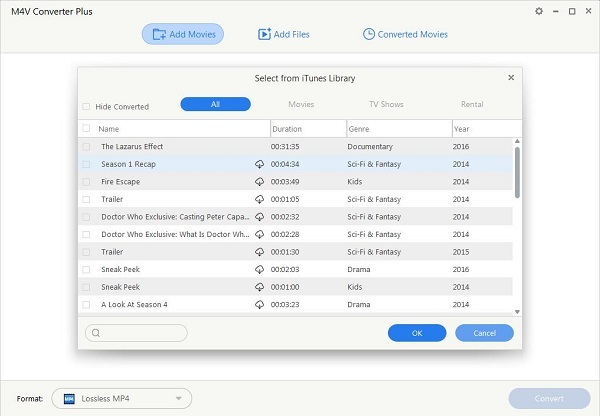 M4V Converter Plus support converting iTunes purchased or rented movies, TV Shows, music videos and iCloud file. Just click Add Movies button to import iTunes videos to the program. 3. 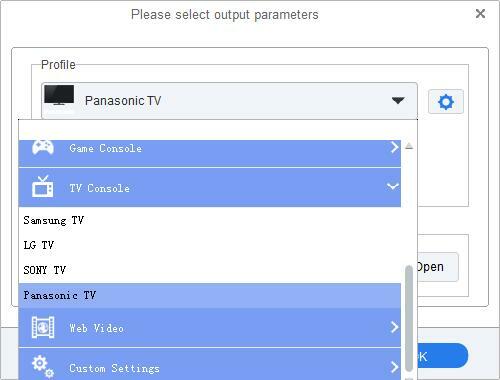 Select a suitable output format for your Panasonic TV. Select a suitable output format from the blue profile panel. You can choose Panasonic TV from the TV Console section. 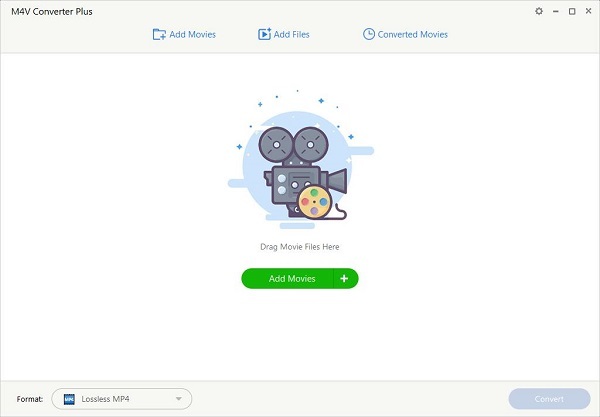 The default output format Lossless MP4 is also highly recommended, which allows you to convert iTunes videos at faster speed with high quality. 4. Start the iTunes movies conversion by clicking the profile again. 5. Stream the converted iTunes movies to your Panasonic TV for playback. Now you can move the converted iTunes movies to your USB memory sticks directly. And connect the USB to the TV via the USB ports. 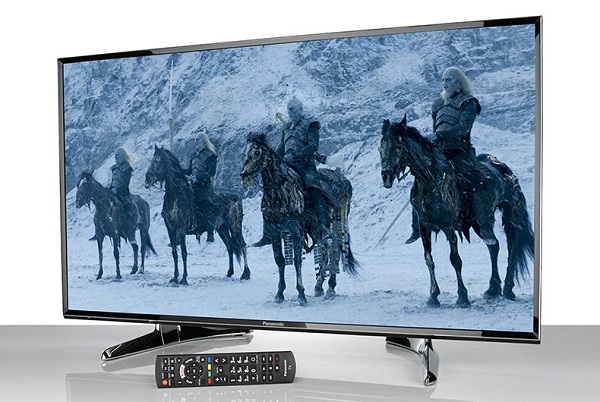 Then you can play iTunes movies on your Panasonic TV without any limitations.